Seguin Spear is a Licensed Independent Clinical Social Worker in Providence, RI specializing in chronic illness, caregivers, spirituality, religion, existential crises, and pain management. She sees young adults, college students, adults, and seniors. Offers remote video therapy to clients in RI, MA, and CA. Seguin Spear is a Licensed Clinical Social Worker who previously worked in private practice locations in the Bay Area, Japan, and Taiwan. She returns to the East Coast, where she grew up and attended college and graduate school, to provide psychotherapy and mindfulness coaching. She lived in a meditation community for six years and is dedicated to bringing her calm and perceptive eye to each session with her clients. Seguin has particular specialty in assisting individuals coping with long-term and chronic medical conditions, family members managing caregiver stress, and individuals religious communities experiencing extreme spiritual states. She makes an effort to work with her patients in terms of location of services, and can discuss alternative meeting locations and phone/video call appointments if stairs are a concern. 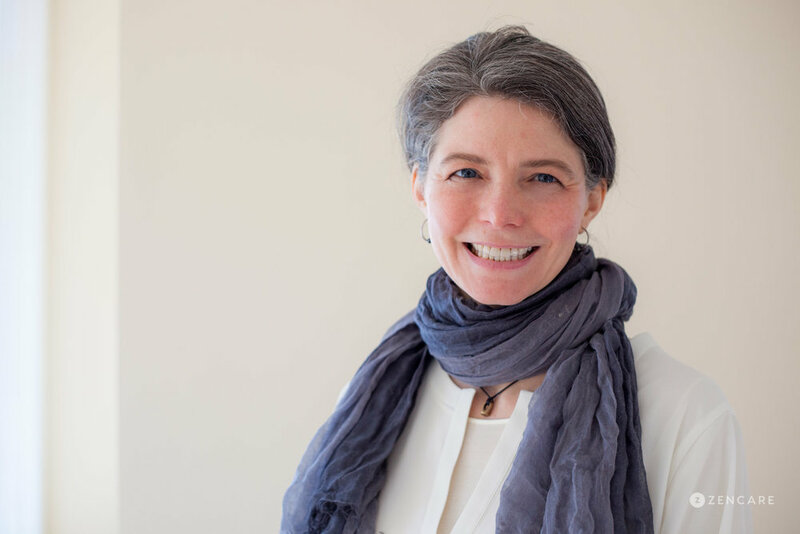 In her practice, Seguin uses a combination of mindfulness practices, psychodynamic therapy, and supportive therapy to help her clients discover their innate strengths and grow towards their goals. Throughout her career, Seguin has served as an oncology and organ transplant social worker, a psychiatric crisis team worker for adults with HIV, and a resident meditation practitioner at San Francisco Zen Center. Chronic illness – Managing chronic illness; receiving a diagnosis, contemplating and processing related emotions; mindfulness in coping with chronic illness. Seguin is not in-network with any insurances. Therapist's note: Seguin can provide you with paperwork for reimbursement from your insurance company if you are seeking out-of-network sessions. "It's natural to need caring support during painful changes and difficult times. If you, or someone close to you, are just learning of new health issue, coping with a chronic medical condition, or living with a catastrophic illness, you may find yourself feeling frightened, depressed or overwhelmed. Old emotional wounds, bad memories or family struggles can re-emerge, in addition to new fears for yourself or the people you love. Sometimes it is difficult to know how to make necessary choices or to decide what to prioritize. I am experienced in supporting people impacted by life-changing illnesses, and people in the last part of their lives. I bring a caring, attentive presence and perceptive intelligence to each session. I am committed to co-creating vital therapeutic relationships that provide discernible benefit to my clients. I also assist people who want to reduce feelings of anxiety, or who struggle with self-doubt, creative blocks, or perfectionism. Therapy begins with our exploring the challenges, questions and hopes that bring you to seek support now. Together we establish goals for your therapy and look at ways to improve your wellbeing immediately. As you continue, you may choose to go deeper into habitual behaviors, thought patterns or experiences that impede your vitality, connection and peace. LGBTQ and Poly safe and knowledgable. Informed by intersectionality." Seguin offers clients a balance of keen intellect and intuition. She creates a safe and sacred space for clients where she holds their vulnerabilities and truths with respect and tenderness. She is equally committed to both gentleness and honesty, awareness and accountability. Seguin’s varied and vast experience provides clients a deep and rich resource. The exploration of existential, spiritual or religious questions, and support for meditation. Chronic and serious illness especially cancer, living with pain and end-of-life care.